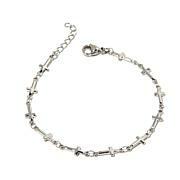 Celebrate your faith in a fun, personal way with this beautiful "Nativity Stone" bracelet. Crafted of durable stainless steel with a textured "Wing" design, this unique piece features an authentic "Nativity Stone" from the Holy Land. Wear it every day as a stylish reminder of your faith! 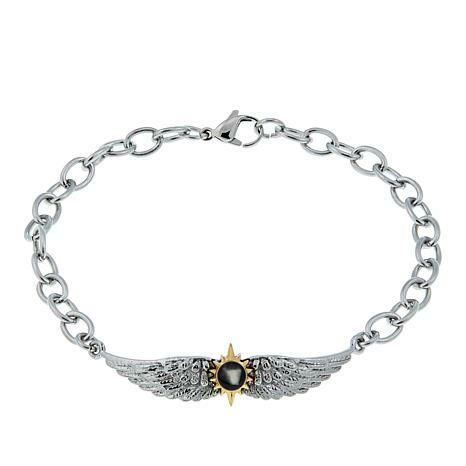 Stainless steel bracelet has encapsulated Nativity Stone at center of goldtone sunburst frame set between 2 textured "wings"
I absolutely love this bracelet. It is feminine and like 99% of Michael Anthony jewelry I have purchased through the years, it is gorgeous. Thank you HSN. I highly recommend. 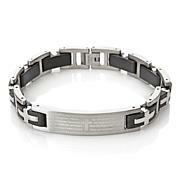 I love Michael Anthony's jewelry!1 This bracelet is gorgeous! !